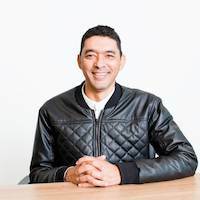 Naim Rassool being the inaugural Director of SARETEC has a career spanning 20 years practising as an engineer, venture capitalist and leading companies. These various roles have exposed Naim to numerous industry sectors including a stint in public sector. 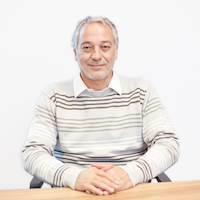 Sven Pietrangeli has more than 10 years’ experience, in industry (mining, manufacture, project management and operations management), with 4 years’ experience in tertiary education at University level and in Trades and Occupations. His academic expertise are in the subject fields of Fluid Mechanics, Thermodynamics and Renewable Energies. 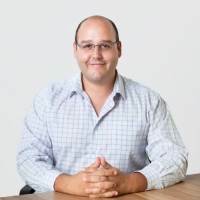 Sven is a member of the South African Institution of Mechanical Engineering and holds a Bachelor of Technology in Mechanical Engineering, as well as a Masters in Technology specializing in Renewable Energy (Wind). Henk Volschenk has more than 38 years industry related (military, oil and gas, manufacturing and renewable energy) experience as a qualified Mechanical Fitter and Senior Mechanic with 21 years been spent in the Adult Education, Training and Development field involved as a Learning Development Officer, Training Officer and Training Manager. Henk has successfully designed, established and presented a vast number of learning interventions in South Africa as well as in other African countries. 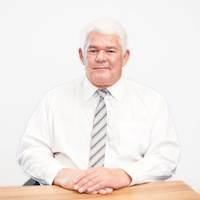 Henk holds a National Diploma in Education specializing in Adult Workplace Learning from the University of the Western Cape and a Certificate in Project Management from the University of Stellenbosch’s Business School. Masabata Potsane has 7 years industry experience in administration, hospitality, marketing, training and events industry. 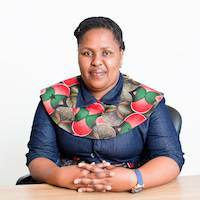 Masabata holds a N6 Office Administration Certificate from Port Elizabeth College – Russell Road Campus and National Diploma Marketing from Cape Peninsula University of Technology (Bellville Campus). Alfred Szebelledi has 7 years teaching experience at a TVET College majoring in fitting and machining. He has been a qualified Artisan for 30 years and been exposed to various environments. Alfred is in possession of a Diploma in Teaching as well as Trade Certificate in Fitting and Machining. Xolelwa Bashala started off her career in administration, events hosting and conference supervision, as well as managing small projects. Recently she moved into Quality Management Systems focusing on ISO 9001 and Quality Auditing for SARETEC. She also manages the OHS aspect of SARETEC and undertakes project management assisting with key strategic projects undertaken in SARETEC. Xolelwa holds a BTech in Project Management, National Diploma in Events Management, and Short course in Quality Management Systems. 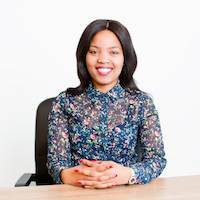 She is currently pursing Masters in Technology of Business Administration in Project Management at the Cape Peninsula University of Technology. Lindie Lourens has more than 20 years of work experience. 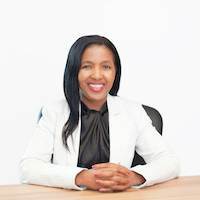 Following 12 years as a detective with the South African Police Service she became an entrepreneur and ran her own business for 10 years. Prior to joining SARETEC Lindie was the SETA Coordinator for a Health and Safety Training Company for 2 years and managed the relationships with SETA’s. Jarque Coerts served in the SA Navy as a Shipwright with the rank of Chief Petty Officer. Worked at Abu Dhabi marine as a fabricator welder and went on to be a Senior Boilermaker Foreman. Over the years he has gained vast experience in carpentry/joinery, metal fabrication, welding, fibreglass laminating and repair. 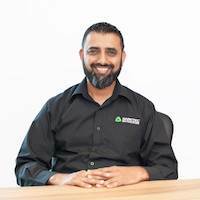 Sisa Sethi has been with SARETEC since 2015 and during this time has been an integral part of the Events and Training teams. 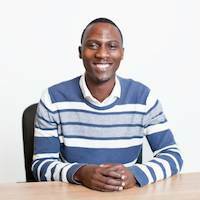 Sisa hold a National Diploma in Event Management (Business Managements Sciences) from the Cape Peninsula University of Technology and currently pursuing a BTech in Business Administration (CPUT). 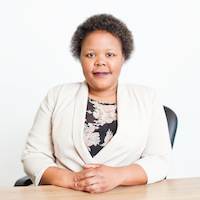 Akhona Hermans is a Financial Administrator at SARETEC and is primary responsible for compiling management accounts and undertaking journals, debtors, and project fund transactions. Before coming on board at SARETEC Akhona spent a year and half at Robben-Island working as an Internal control officer in Finance Department. She hold a National Diploma and a BTech in Cost and Management Accounting from Cape Peninsula University of Technology (CPUT) in Cape Town. Lisa-Khanyisa Casiwe has 2 years of experience in the Finance Industry. 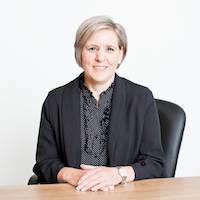 At SARETEC Lisa compiles management accounts and undertakes journals, creditors, petty cash and project fund transactions. 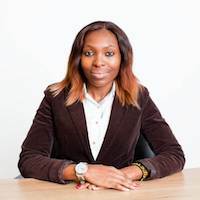 Lisa took part in an accounting programme (Guarantee Trust) as a Trainee Accountant, spent six months in a public entity World Heritage Site (Robben Island Museum) as a creditor’s accounts assistant. She joined a medium size engineering company mid-year 2017 as a Finance Administrator. Lisa obtained a BTech qualification in Financial Information Systems from Cape Peninsula University of Technology. Nomfundo Gidi has been with SARETEC since October 2016 as an Events Assistant. Prior to taking up this position, she was in the health care industry and has over 14 years’ experience in the hospitality-events and tourism industry.